Figs are one of my favorite discoveries. After living on the Mediterranean for almost a year, both in Israel and Italy, figs managed to worm their way into my diet with little invitation on my part. 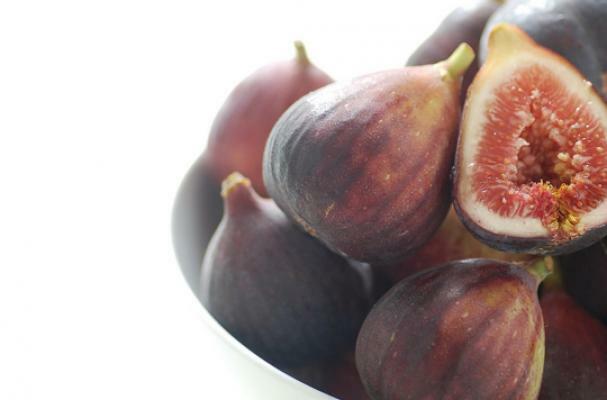 While most American probably only experience figs in the context of Fig Newton-style cookies, they are such an incredibly fruit that I can't help but share my enthusiasm. Native to the Mediterranean and Middle East, figs were one of the first plants cultivated by (wo)man and have been a happy addition to our diet ever since. Low in calories, these sweet, succulent fruits are packed with vitamins, minerals and anti-oxidents (dired figs, in fact, are an excellent source of concentrated nutrients and energy, making a great snack for hiking and camping!) While I enjoy fresh figs when in season, figs lend themselves particular well to baking - especially tarts to showcase their aesthetic beauty and maintain shape and texture while baking. Here are three of my favorite fig tart recipes, all gluten free, to hopefully inspire a new-found love for this ancient fruit. Two types of figs, apples, pomegranate and honey make this fabulous treat a celebration of fall flavors - great for Rosh Hashanah and also dairy free. Figs and honey combine in these simple, elegant little tarts that are also dairy free. Fresh figs with a creamy yogurt filling and a crunchy-nutty crust comprise this must-try tart. Simply substitute your favorite AP GF flour blend to make the crust --for best results use a rice/potato or rice/tapioca blend like Better Batter or Jules Flour Blend.